People can get congested for any number of reasons. Allergies, the common cold, flu, and other upper respiratory infections can leave you feeling stuffed up and pretty, all-around miserable. While we can often treat these at home or with chronic medications, there are times when we may need to seek medical care. But people are often unsure when to do so and may end up delaying and delaying until an acute condition suddenly turns serious. 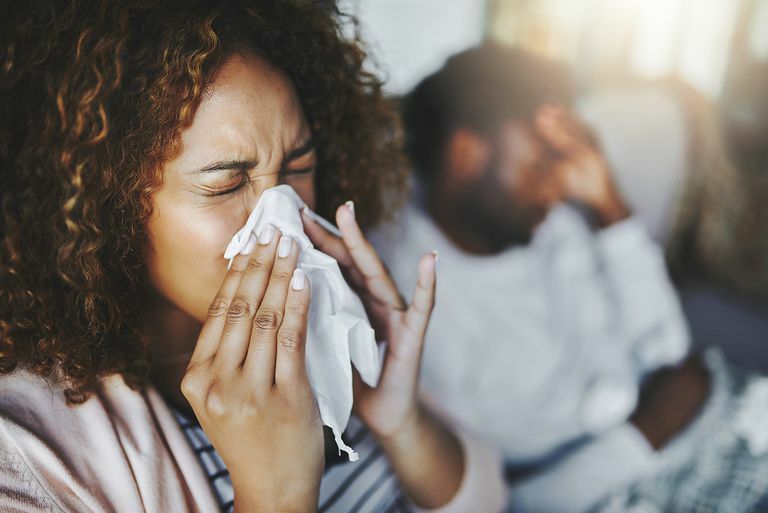 When a person has a cold or flu, there is often a little a doctor can do but advise plenty of bed rest, fluids, and over-the-counter medications to treat cold and flu symptoms. But that doesn't mean that you should tough it out if the symptoms seem abnormal or persistent. This is especially true when it comes to the flu, the disease of which causes anywhere from 12,000 to 56,000 deaths in the U.S. each year. You are elderly and have a severe cold or flu symptoms. A young child has a severe cold or flu symptoms. You have a temperature of 100.4 degrees F.
You have trouble breathing or chest pains. You have a sore throat, and it hurts to swallow. A cough persistent and is either hacking or productive (producing phlegm or mucus) as this could be a sign of everything from pneumonia to whooping cough. If your symptoms worsen or persist for more than five days. Nasal congestion is accompanied by a fever over 100.4 degrees F.
The symptoms persist for more than 10 days. The nasal discharge is yellow or green (a sign of a sinus infection). There is severe sinus pain. The nasal symptoms have spread and are now causing sore throat or breathing difficulty. A child under two has a fever. Nasal congestion is making it difficult for the infant to feed or breathe. Seasonal allergies can be awful, affecting not only a person's ability to breathe but making it near-impossible to function. People who are prone to these allergies will often suffer silently, believing that the seasonal effects are something they have to live with. You have tried different over-the-counter medications and still, need relief. You have recurrent or persistent sinus infections, ear infections, or headaches. Your allergy symptoms last for more than two months. Your allergy is interfering with your sleep. You have heart disease, diabetes, glaucoma, high blood pressure, kidney disease, liver disease, prostatitis, or thyroid disease which may be affected by chronic antihistamine use. Krouse, J.; Lund, V.; Fokkens, W. et al. "Diagnostic strategies in nasal congestion." Int J Gen Med. 2010; 3:59–67. Naclerio, R.; Bachert, C.; and Baraniuk, J. "Pathophysiology of nasal congestion." Int J Gen Med. 2010; 3:47–57.